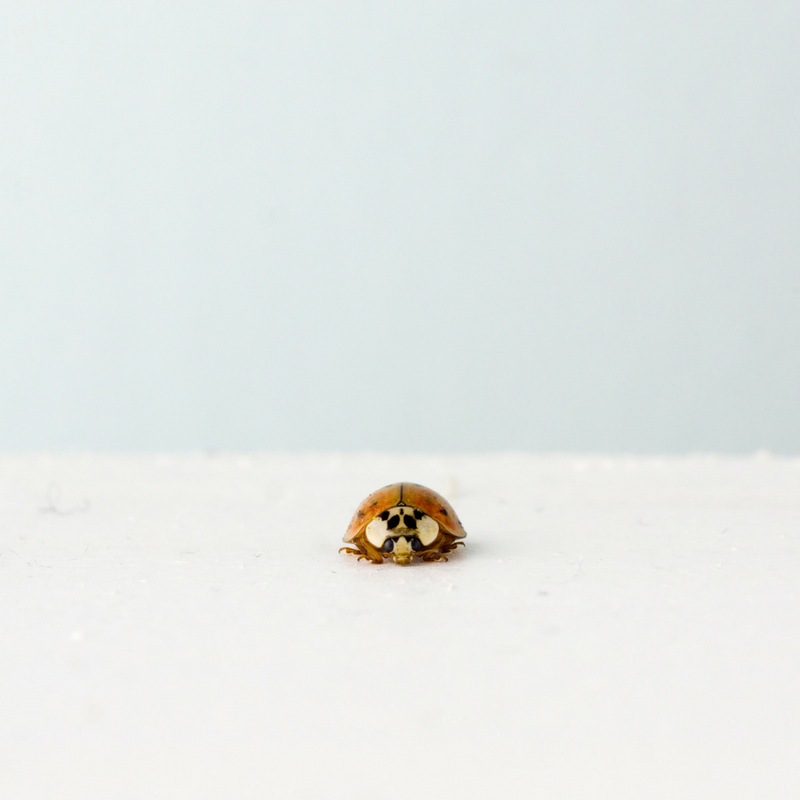 Are you looking for a creative way to teach your kids about bugs and science? Then you need to look at Orkin’s lesson plans. Yes, Orkin, the pest control company! They have lesson plans all about bugs from K thru 6th grade. They cover classification and how scientists place insects into groups, along with vocabulary words and classification activities. 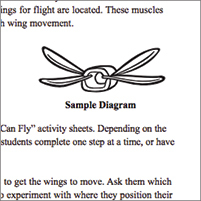 There’s a lesson on how wings work and you get to build a model that simulates wings. One lesson is on how to distinguishing between a cartoon drawing, a line drawing and a real image of a bug. This lesson, using fun drawing skills teaches them to look critically at images. Feeding Frenzy looks like a lot of fun! Kids get to try to eat like bugs and learn how bugs have specialized mouthparts and what bugs eat and more. It’s very hands-on or should I say mouth-on? 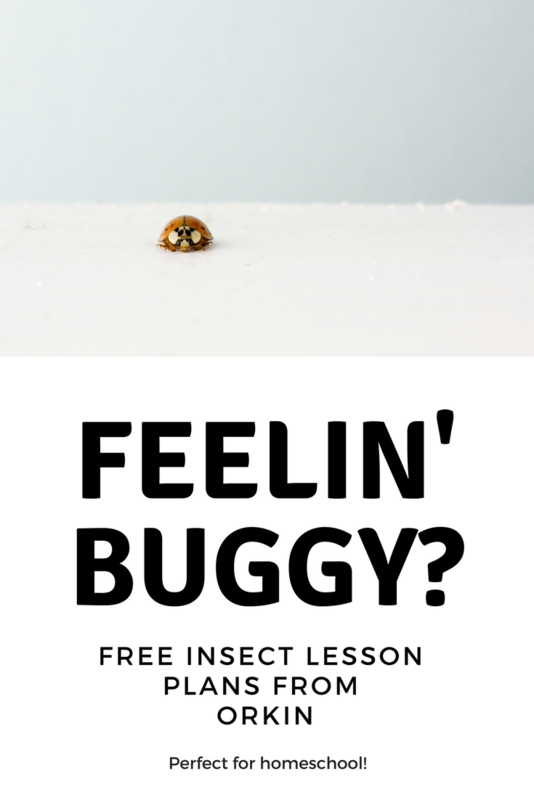 The Feelin’ Buggy lesson is all about learning how humans and insects learn about their surroundings and is also hands-on. All of these lessons are really neat! Each one comes with the lesson already laid out for you and covers everything you need to teach it. Each lesson is about an hour long, however you could break it down further if you’d like. 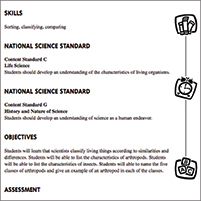 If you need to know the National Science Guidelines, those are also included along with vocabulary, handouts and all experiments are fully explained. They would work great for a co-op or group but could easily work with fewer or one student. Since it’s spring and the bugs are starting come out of their homes this would be the perfect time of year to do a unit study on bugs. Time to get buggy!